Roelof Mulder is a multidisciplinary artist, operating in the field of graphic design, type design, interior and exhibition design. He studied fine art at the Academy in Arnhem and he attended the Jan van Eyck Academy in Maastricht for a year in order to underline his love for the graphic arts. 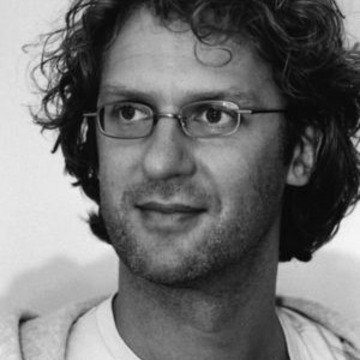 Mulder's departure from the academy was quickly followed by the announcement that he was to be the first winner of the Rotterdam Design Prize. His graphic and editorial work includes books for Droog, MVRDV architects, Marcel Wanders, Stedelijk Museum Amsterdam, E&Y, and artists Yasumasa Yonehara, Marijke van Warmerdam and Marlene Dumas. He was member of the editorial staff and designer of Forum magazine and he has been art director of Frame magazine twice. Mulder also did campaign work for fashion brands such as Takeo Kikuchi and Diesel, various exhibition and communication work for incubator Platform21, and stamps for the Royal Dutch Post. In 2009 the new interior for the Library of the University of Amsterdam (designed in collaboration with bureau Ira Koers) was awarded with The Great Indoors Award. Mulder has been teaching at various schools, such as Werkplaats Typografie (Arnhem), HFBK (Hamburg) and Royal Academy of Art (The Hague).